The MB 700 featured an all-wood, stressed-skin structure. The new fighter made its first flight on 19 April 1940, with Daniel Rastel at the controls. In the last few years before the war, the French Air Ministry began to consider using non-strategic materials such as tropical wood varieties for warplane construction to avoid running short of steel or light alloys in the event of a conflict. 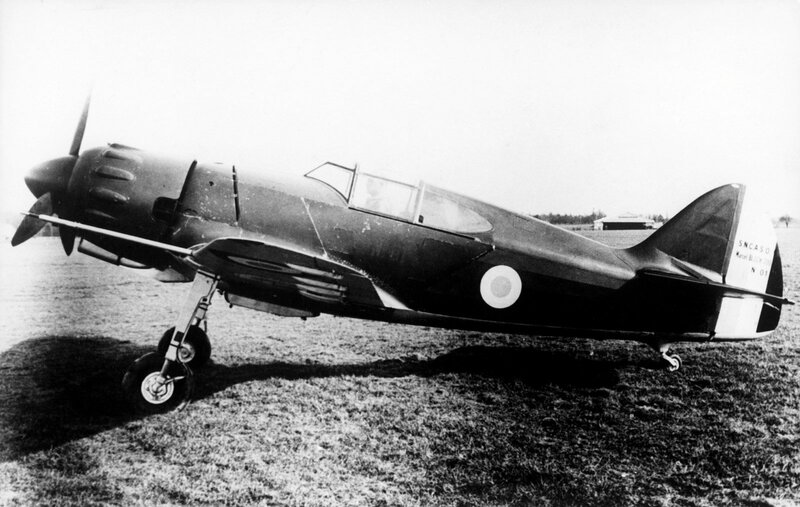 On 12 January 1937, the Ministry’s STAé Aeronautical Department issued technical programme A23, calling for light C1 single-seat fighters of wooden construction using less-powerful engines than the 900/1,000hp units in the basic programme. To meet this requirement, André Herbemont, who had designed all the SPAD fighters since 1918, produced the MB 700. It was designed and built in the former Blériot Aéronautique factories in Suresnes, which had been incorporated into SNCASO when the French aviation industry was nationalized in 1936. The MB 700 featured an all-wood, stressed-skin structure; the fuselage was covered with formed plywood in the forward section, canvas in the rear. The engine was a Gnome-Rhône 14 M6 delivering 700hp at takeoff. MB 700-01 was transported by road to the Buc airfield, where it was reassembled and prepared. The new fighter made its first flight on 19 April 1940, with Daniel Rastel at the controls. It lasted 16 minutes and reached an altitude of 1,800 meters. The second flight was not completed until 13 May 1940, again with Daniel Rastel. During this 50 minute flight, the aircraft reached 4,000 meters. The prototype had not been fitted with weapons. It reached a speed of 550km/h, which was a remarkable performance considering the available power. The prototype had only completed about 10 flying hours when the Buc airfield was occupied by German forces, who burned the plane. Construction of a second prototype was started but never finished. It featured a number of modifications in relation to the 01: larger propeller, modified radiator, etc. A naval version, baptized MB 720, was also studied, but never got off the drawing board.